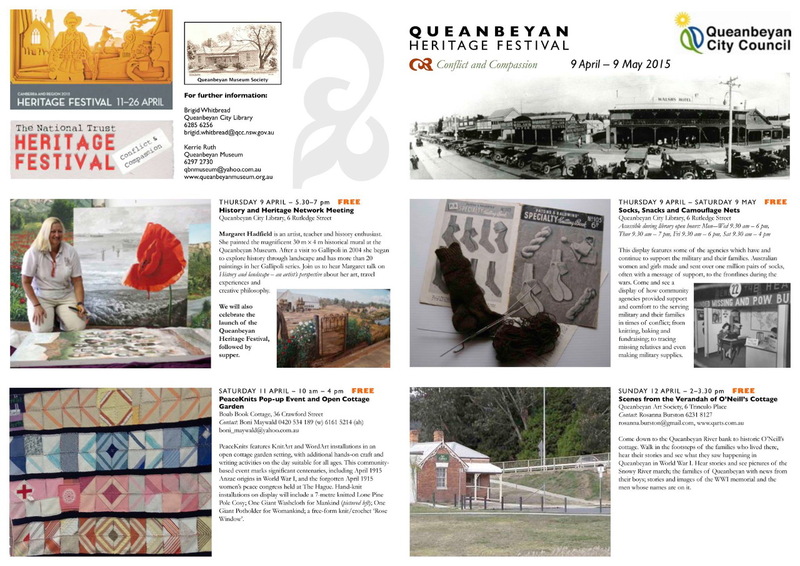 Have just been at the launch of the Queanbeyan Heritage Festival 2015. 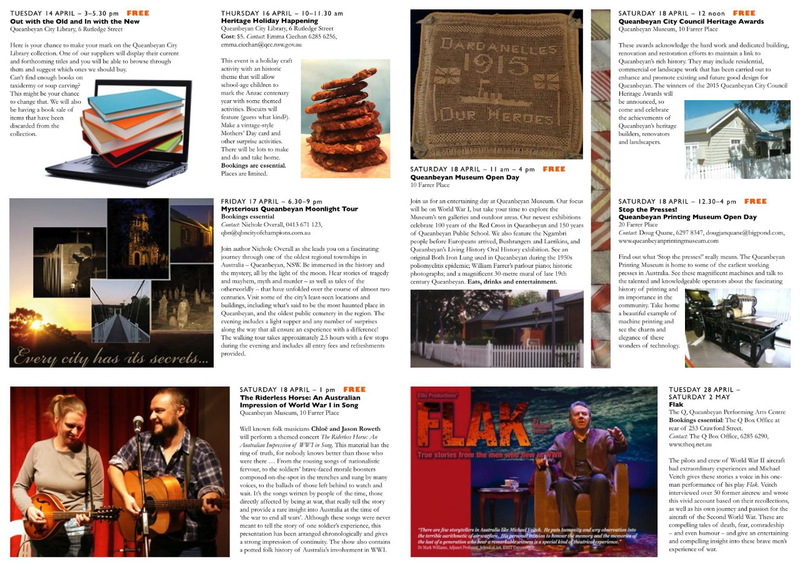 The theme this year is Conflict and Compassion, with lots of fabulous events in Queanbeyan. 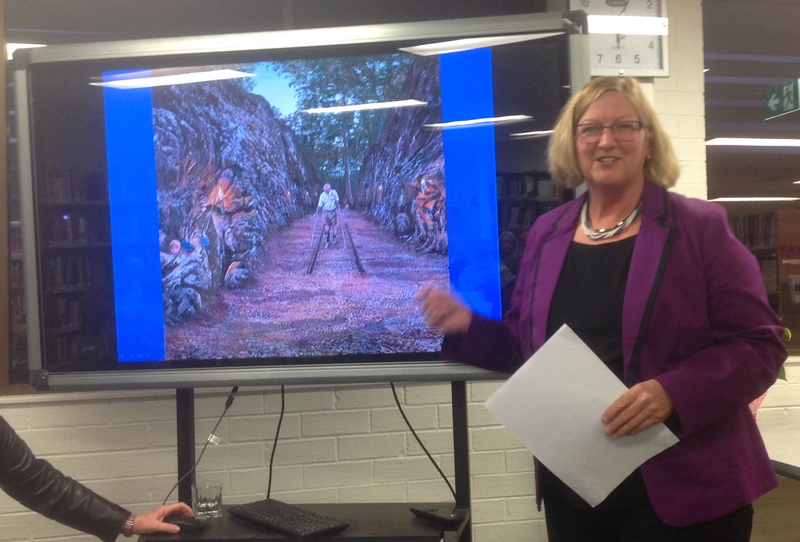 Our speaker tonight was Margaret Hadfield with a very moving talk about her journey as an artist, through her Dutch family history connections with the Australians who were killed in WW2 in the skies above and buried on the island where her family lived. She was given a painting of a warship which was done by her own father. This sparked an interest in the connection between art and the people involved in war. She is able to connect with her art the descendents and family of those who were involved and to produce beautiful and emotional artistic remembrances of the events and people involved..